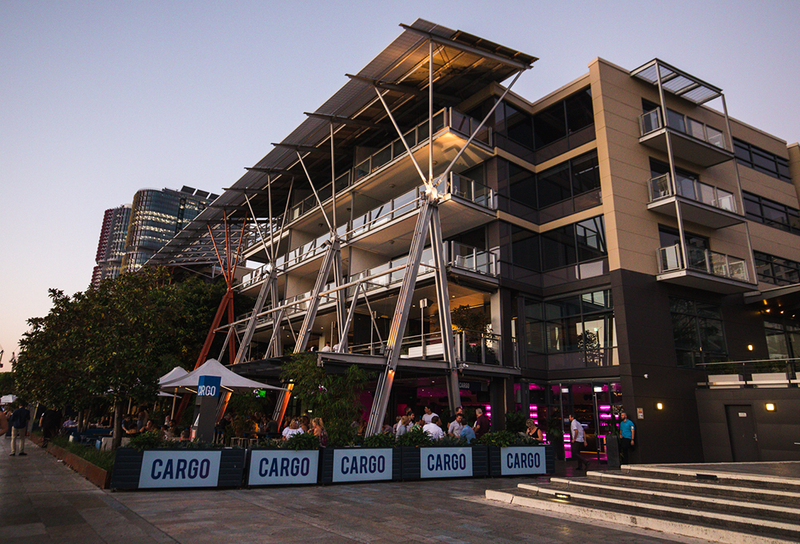 Make an impression with an event at Cargo. 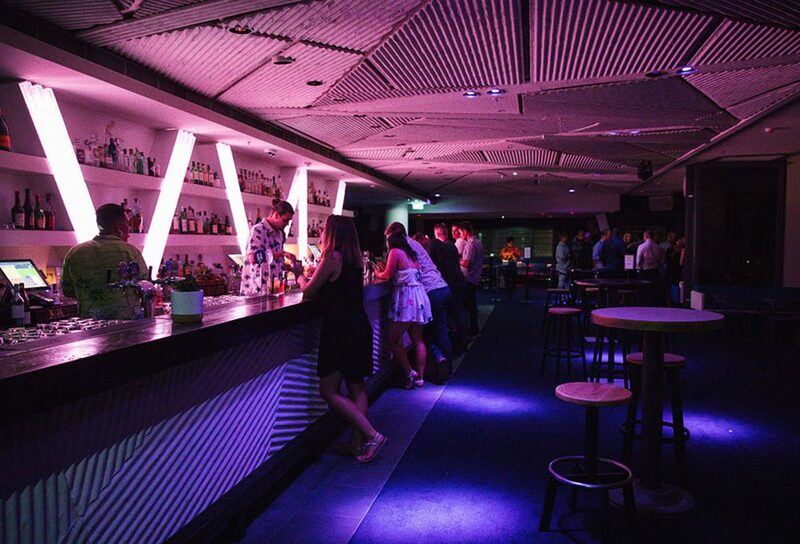 This two-level party destination with waterfront views is the perfect place to host any social occasion. 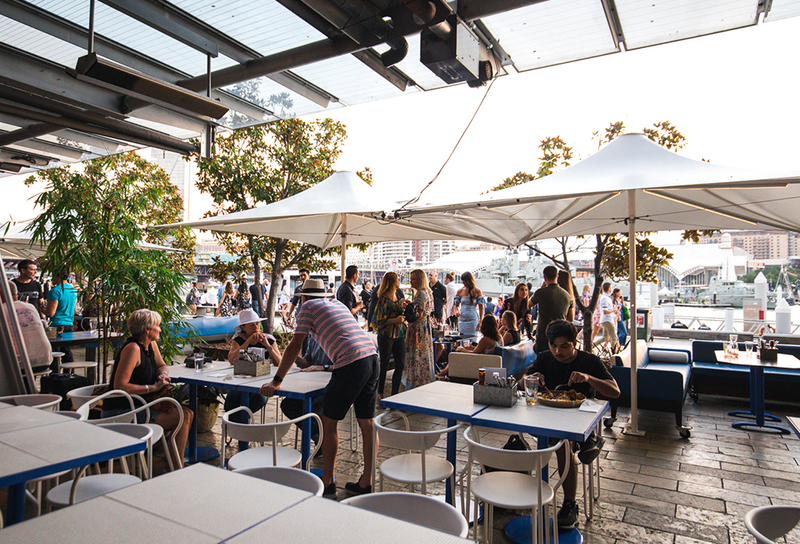 Start planning your Christmas Party, Birthday, Engagement or Corporate Function by downloading our function pack. Either fill out the form or give our team a call on (02) 8322 2005 to make an enquiry. 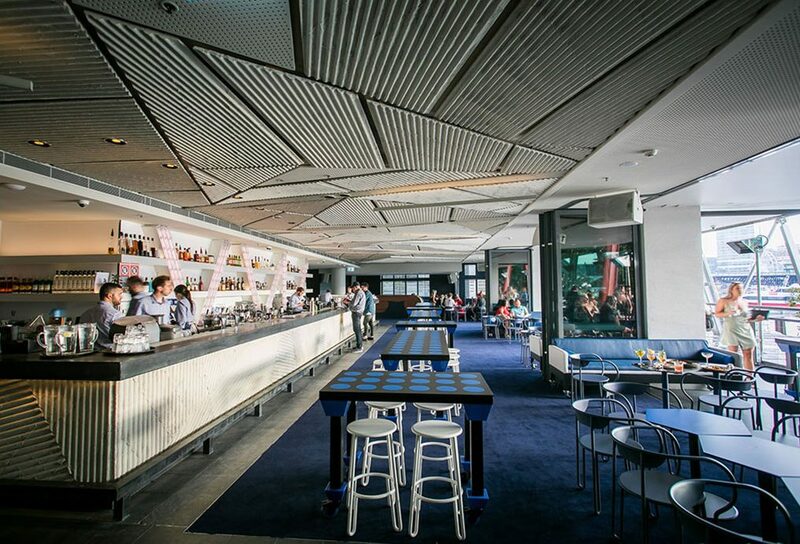 This flexible space can be roped off for your exclusive use depending on the size of your event. 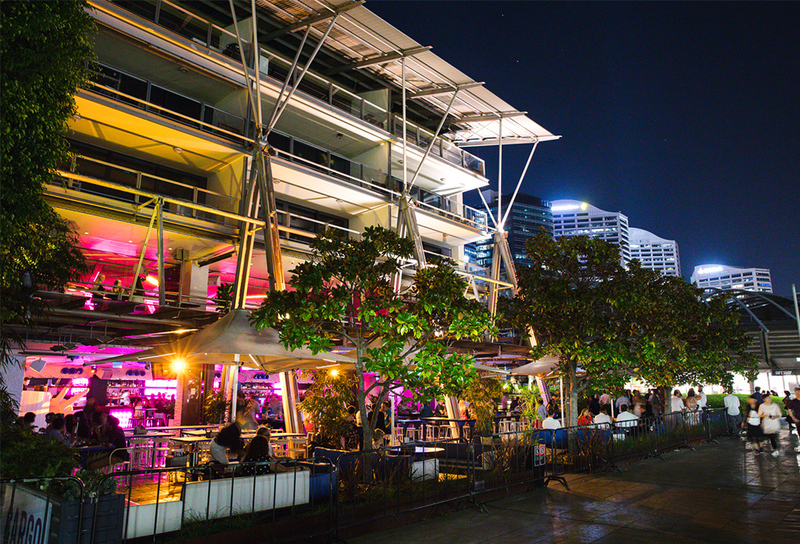 With views across the entire venue and King Street Wharf, your guests can enjoy a waterside experience within the lush greenery of this iconic space. 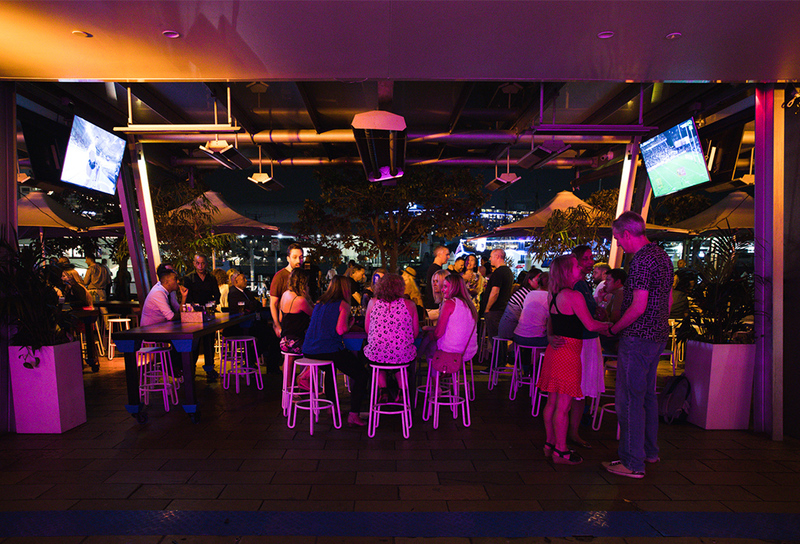 Providing a great backdrop with spectacular views over Darling Harbour, Cargo downstairs can be exclusively yours for your next event. 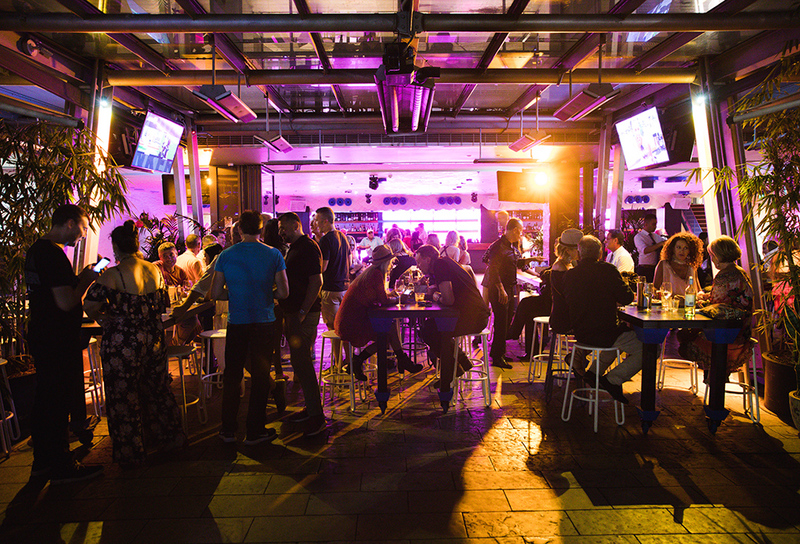 The large bar sits centrally with easy access from all points, and the spacious indoor and outdoor areas allow your guests to roam freely throughout the venue. 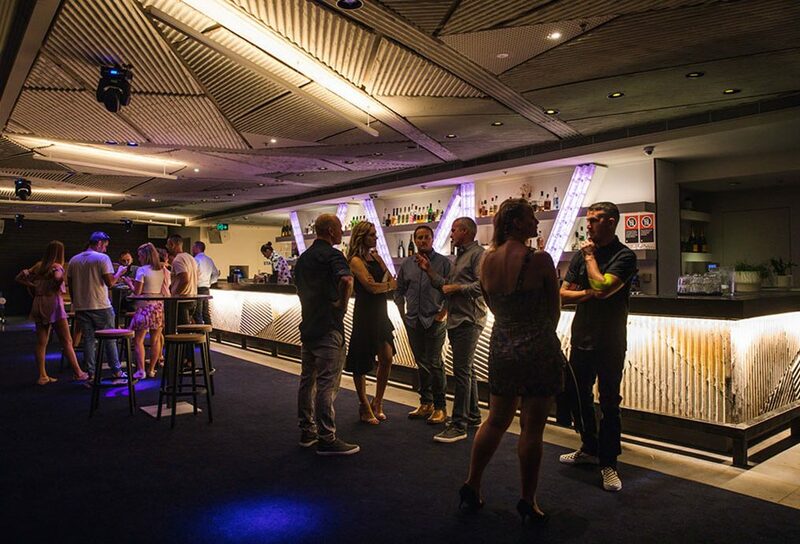 The cocktail bar is a great space that can be sectioned off for your event, give your guests the ‘VIP’ treatment. 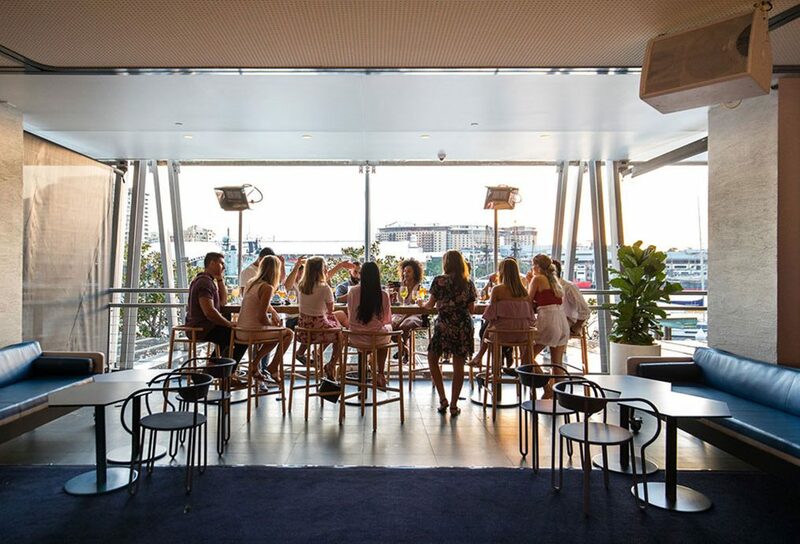 Guests can enjoy our iconic cocktail menu from our expert bartenders whilst relaxing on our comfortable hightops in an exclusive ‘roped offer’ atmosphere. Give your guests the cocktail experience. 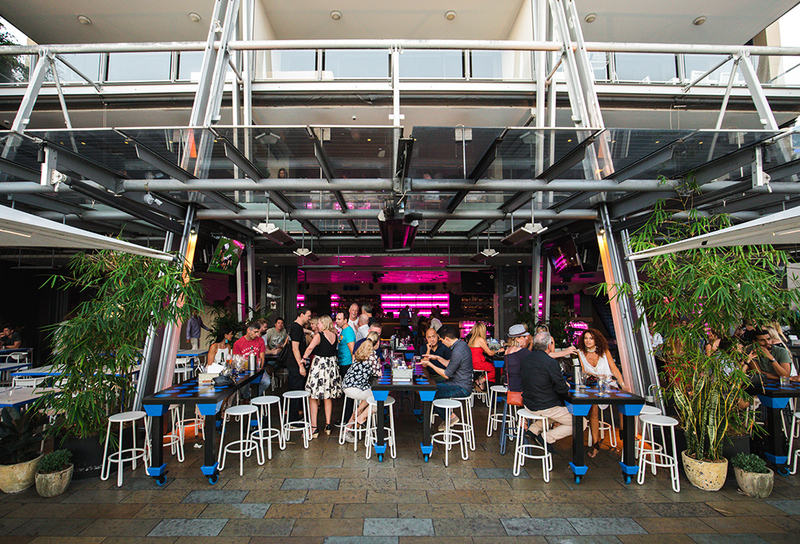 This fully covered balcony provides uninterrupted views over Iconic Darling Harbour. Spanning across the entire first floor there is plenty of room for your guests to relax regardless of the season. Perfectly heated throughout the winter and cool breezes in the summer. 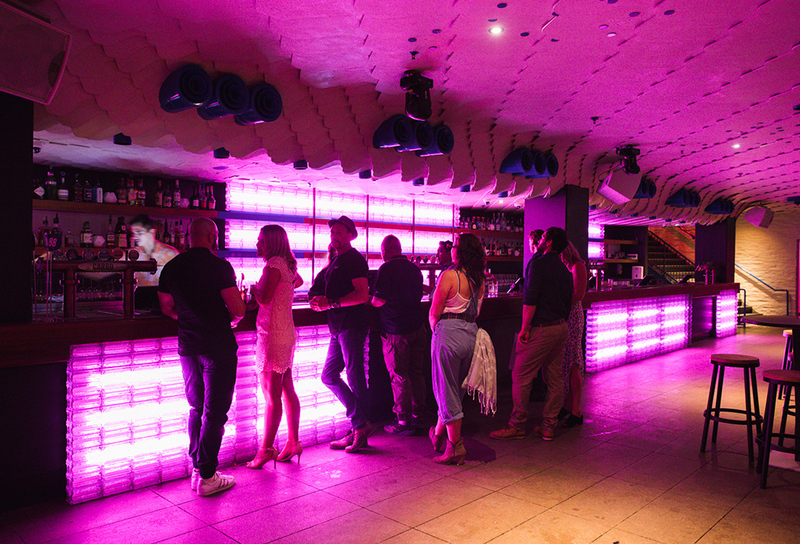 On the weekend enjoy the upstairs DJs on the decks or enquire about our entertainment options! 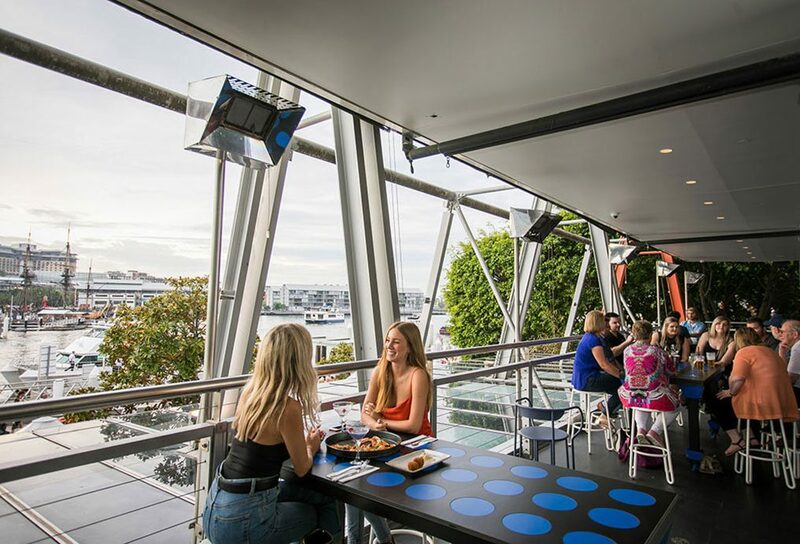 This flexible space provides iconic uninterrupted views across Darling Harbour, this space could be years for your next event! Get the best of both areas! 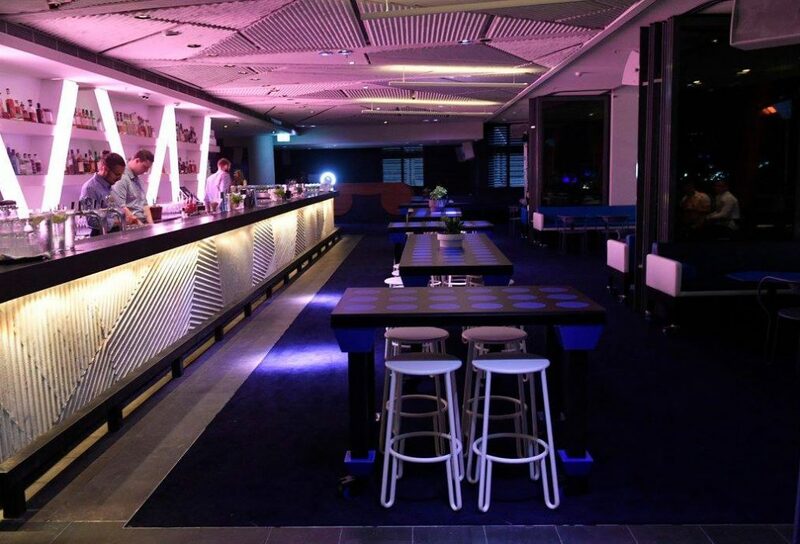 The large cocktail bar lights up as the night progresses, think purples & blues to set the scene. 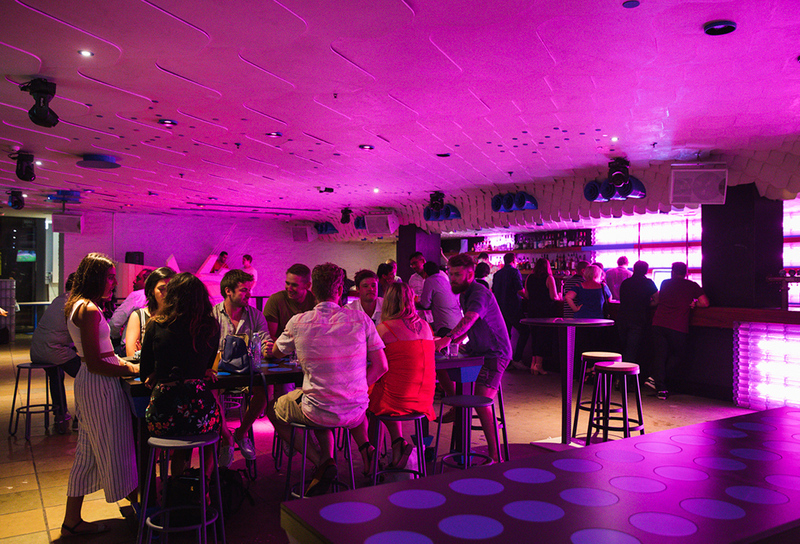 This sizable bar can be easily accessible from all areas of the room. Enable your guests the ability to roam freely and rest on our comfy couches or high-tops insides or outside with the seaside views.